Serving the Puget Sound, Seattle, Eastside, Tacoma, Spokane and surrounding areas. GroutPro is a growing multi-state company that has been developing and manufacturing their own proprietary products and processes since 1959. Why is my grout looking “Nasty”? 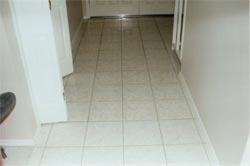 Grout is porous, allowing contamination to penetrate the surface and become permanently discolored and stained. Harsh cleaners such as acid and bleach only make the problem worse by eating more pores in the grout, thereby compounding the problem and requiring cleaning more often, or worse, degrading the grout to the point where water penetrates through, causing very costly dry rot repairs. 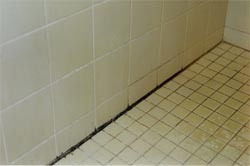 In wet places such as showers, molds, mildew, algae, bacteria and fungus grow deep inside the grout. Aside from being unsightly, they pose a threat to our health. Household cleaners only clean the surface allowing them to grow back and continue to spread. Through years of research and development, “The GroutPro System” was developed to restore grout back to like new condition. 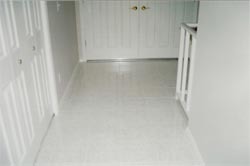 The GroutPro system is comprised of several proprietary products and processes. 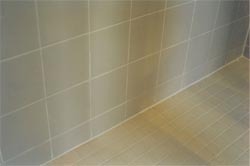 After restoration, GroutPro’s Preservation-ONE is applied to the grout. Preservation-ONE is a special treatment that penetrates and fills the pores of the grout, no longer allowing future contamination, thereby making cleaning a snap and keeping that new look for years to come. Protect your investment. In new construction “The Groutpro System” runs about half the cost because we don’t have all the preparation work and you start out with impervious grout right from the beginning, making cleaning much easier and maintaining that new look for years to come.